Sicilian cannoli may be my absolute favourite dessert, which is a little odd given the minimal amount of chocolate in them. They seem to have the perfect balance of sweet and savoury, creamy and crunchy, sugar and citrus. 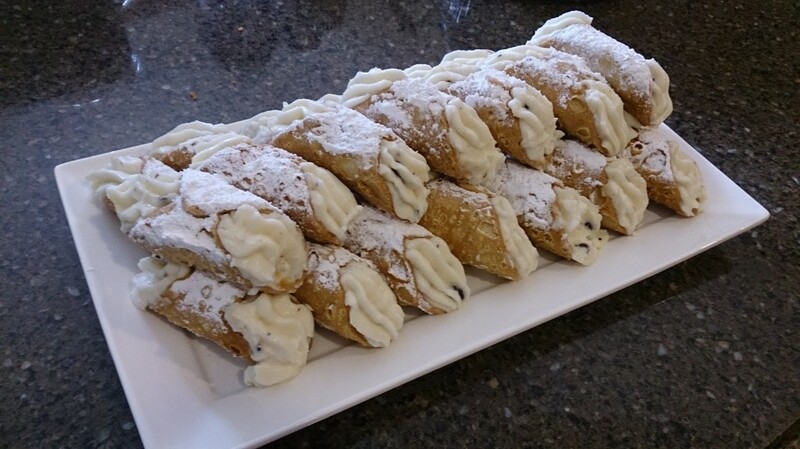 I don’t think I’ve ever met a cannolo I didn’t like – though a soggy exterior can certainly be a downer. These particular cannoli were purchased for my dad’s birthday – but I’m pretty sure he ordered them for me and my husband – who shares my passion for these things. That said, I’ve never attempted to make these beauties at home, neither the sweet ricotta filling nor the delicious fried tubes of dough. It’s one of those cases where I feel like just leaving it to the experts. The ingredients themselves are a little pricey, and frying the dough rounds individually and then filling them is quite time consuming. Is there anything else where you think it makes sense to let someone else do the work?